We tend to gravitate towards muted colors like grey, black or beige. But this year, immerse yourself in the idea of mixing colors and try color blocking. It is an instant mood changer and will keep you feeling confident. You want to stay true to who you are when thinking about trying a new trend. Don’t dive into something you won’t feel comfortable wearing and keep in mind your proportions. You still want to dress for your body type. Fashion is more than the clothes you wear. It’s everything from hairstyle, nails, accessories to makeup. How you put everything together will really affect your entire look. Slabbing on a fun new lip color can be just as exciting as a new top! MIX IT UP AND WEAR MORE SKIRTS. We know there is nothing like the comfort of our “blues” but with all the options out there a skirt is a must have. 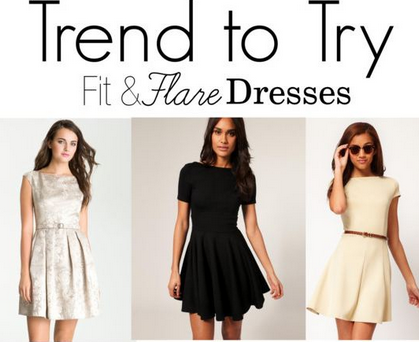 With the current trends you have anything from full length maxi skirts to short body con skirts so don’t be shy. You can wear this at any age and any shape. I know seems so simple right? We all have closets packed full of options but we only wear a fraction of what we have. We wear 20% of our closet 80% of the time. We are all guilty of reaching for the same tried and tested look when we are dashing out the door. Take a few extra minutes to put something new together. I’m not a morning person so here’s my little trick. I take 5 minutes before I go to bed and put my outfit together. This gives me time to try something new on instead of feeling so rushed in the morning. I also get to sleep in a little bit longer and still look great! Sometimes you just need a fresh eye on something. Try reorganizing your wardrobe. It will help you gain a better understanding of what you have in there and you may find a few surprises you forgot about… bonus! I recommend organizing it by style. For example, separate your basics, blouses, outwear ect. This way you can start looking at your wardrobe in outfits with layers rather than individual pieces. Don’t forget to be rid of a few things. 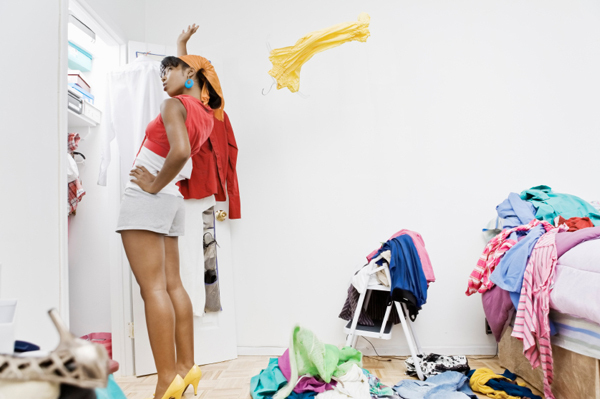 Getting rid of the things you don’t wear or don’t fit can be very therapeutic. Plus this will make room for new goodies!